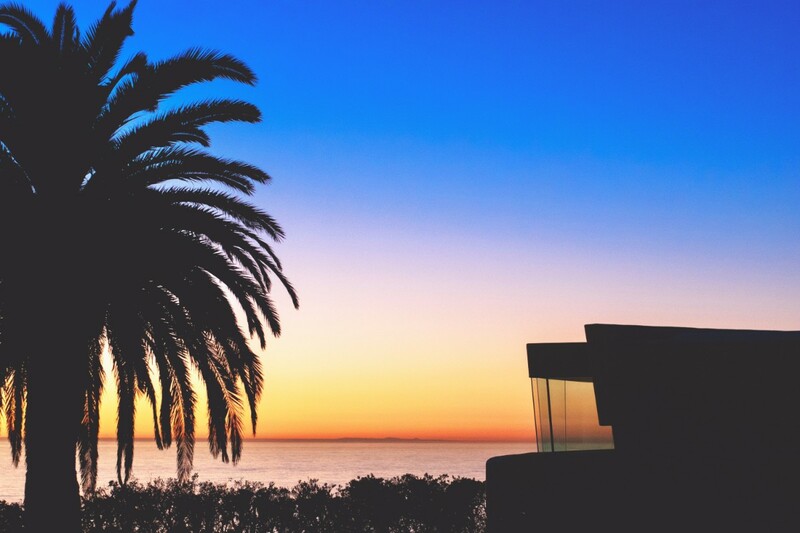 These are our favorite spots in the beautiful city of San Diego to watch the sunset! San Diego is a beautiful city with lots of things to do, places to go and see. Any photographer looking for the best spots in San Diego has his work cut out for him because there are so many beautiful places that provide great scenes for pictures. If you are a photographer who has a special affinity for sunsets and Twilight (not the movie) you will find a couple of really special spaces that you can immerse yourself in and enjoy capturing with your camera. 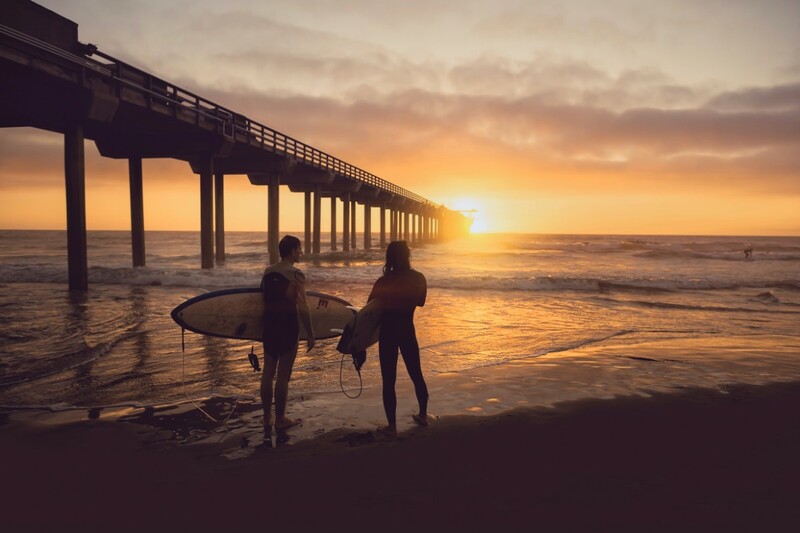 To help you weed through the myriad of special spaces, here are five most popular spots that will help you catch magical sunsets over San Diego's horizon. Garden of the sea located at University of San Diego provides one of the best sunset in San Diego. Located just behind the Institute of Peace and Justice, Garden of the Sea overlooks Mission Bay and offers some of the most colorful sunsets in the area. The best thing about San Diego is the beach. Piers are great places to set up sunset photography and there's no place on Pacific Beach like Crystal Pier. This pier is located a few minutes drive away from the city. The sunset is magnificent and the wooden pier also serves as a great feature that will enhance the picture. The Windansea beach is the most picturesque and most popular places to take artistic snaps of the sun setting over the Bay. Windansea beach is secluded and considered to be the most romantic spot on the Pacific. It also happens to be one of the famous surfing spots in the world. The people milling around or catching the sun rays when it goes down and the surfers with their colorful boards make for an extra unique touch to a shot. 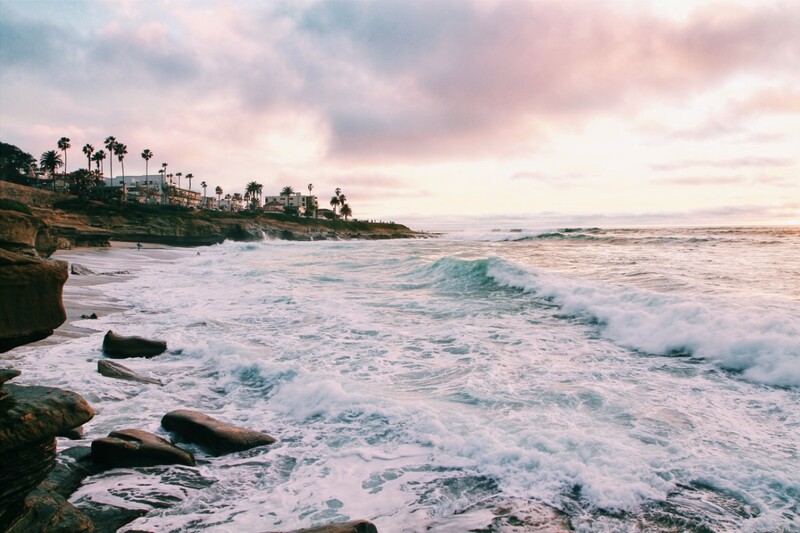 La Jolla Cove is by far, the most intriguing spots in San Diego. It is located just 27 minutes North of the University of San Diego. It's a shopping haven with different, stores catering to every taste. You can enjoy the surroundings, have some lunch in the restaurant strike up conversations and just snap away at scenes that present themselves. When the golden hour approaches, you need to find a spot where you can frame the shots you want to take and start taking pictures. Try different angles walk around if you must, there's an opportunity for a great shot every minute. This is San Diego's best kept secret. A lot of the professional pictures you might have seen of idyllic sunsets in San Diego have been taken from this park. Centennial Park is located right on the bay and has the best panoramic views of the urban jungle that is San Francisco. To get the best shots go down to the beach on the left side of the park. Like we previously mentioned before, there are lots of great vantage points for photographers who love taking pictures of beautiful in San Diego to add to the list here are some honorable mentions Torrey Pines Gliderport, La Jolla Hermosa Park, Sunset Cliffs. The best time to take beautiful sunset pictures are during the fall and early winter, making December and January the best times to watch a beautiful sunset.